Your trusty HP 2110 is ideal for those everyday print jobs in the office or at home. One of these days your HP OfficeJet 2110 will polish off its printer ink, and when it does you'll soon find that fresh HP 2110 ink is normally really pricey. Thankfully, however, you have no reason to bother about shelling out the high purchase prices you'll find on the main street because now at Cartridge Save you can pick up all the HP 2110 cartridges you want at really low prices. Start to save cash on your ink by buying online with Cartridge Save! Don't overpay for the OfficeJet 2110 original cartridge or 2110 compatible ink on the high street when it is far more easy to save cash shopping online with Cartridge Save. Have total satisfaction by purchasing your OfficeJet 2110 ink cartridges from us seeing as every one is protected by a rock solid money back guarantee. Take into consideration that every single purchase also comes with free delivery, most likely arriving on your doorstep the following business day! Multifunction printers allow users not only to save space, but save energy and increase productivity as well. The HP Officejet 2110 is packed with a good range of features that make it an ideal choice for any home office or small business setting. 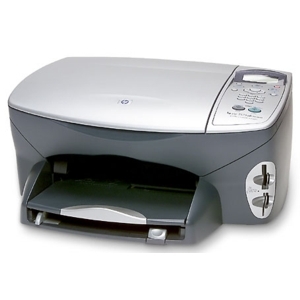 The HP Officejet 2110 prints, scans, and copies, although it lacks the fax feature that many all-in-one units have. It also lacks networking capabilities, which makes the HP 2110 inappropriate for shared-printer environments. The HP Officejet 2110 boasts a traditional all-in-one design featuring a flat bed scanner, intuitive control panel, standard USB interface, and an auto duplexer that encourages users to save 50% in paper. The HP Officejet 2110 is a budget friendly all-in-one that uses one black and one tri-colour tank. The black cartridge is interchangeable with a tri-colour tank for more vivid photo prints. The HP Officejet 2110 scores high in terms of print speeds, averaging 16 ppm in black and white and 12 ppm in colour. Copies come out at about the same rate. The scanner boasts a 24-bit internal colour depth and a maximum resolution of 1200x2400 dpi. Disappointingly, the HP Officejet 2110 is not integrated with fax or networking capabilities. However, it is still a good choice for those looking for a personal printer that can also double as a copier and scanner.